Wherever there are human beings, some level of communication takes place. 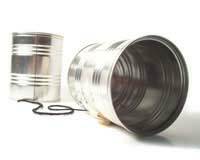 If managers and staff fail to give enough thought to how and why such communication is necessary, all manner of problems occur. Meetings become pointless; employees miss the point of presentations; and requests for work fall on deaf ears. There is also the ever-present danger of conflict arising among workers and management from simple misunderstandings. We have created the WorkCommunication website to help resolve such problems. On out site there are more than thirty articles about the most significant workplace communication topics. In turn, we have placed these in nine categories that any worker can instantly recognise employee relations, bullying and harassment, complaining, interview communication, managing staff, meetings and presentations, workers' rights, working as a team and your boss. Every one of the features in these categories can help you with common problems of communication at work. The WorkCommunication website provides an excellent opportunity for you to improve your understanding of this vital subject. Browse through the site now and see for yourself. We really want to help spread the word and if you can help by linking to WorkCommunication then we really appreciate your help.